The splendid view of the city, from its French balcony, enhances beautifully the urban decor of this luxurious 700 sq ft condo. Harmony and well-being will define your stay here. Laundry room with stacked washer and dryer. On the sixth floor of a brand new building, a few steps from Old Quebec. Abundant floor-to-ceiling (10.5 ft) windows. 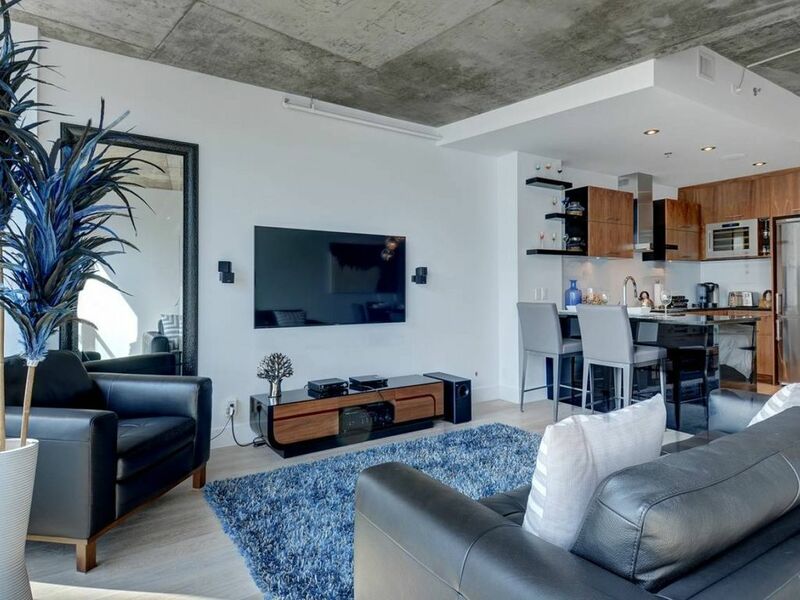 Super condo, idéal pour 2 personnes. Très propre et surtout très bien situé pour profiter de la ville de Québec à pied. Great location, convenient and safe. Thus is a well equipped condo. Comfortable and quiet. Nicely located to old Quebec. Professional and helpful staff. Max was really helpful and pleasant. We had everything we needed. If you have a larger car, you may have difficulty parking in the provided spaces. They are small. We would definitely come back again.